Tempura Udon is an udon ramyun with deep and refreshing udon soup whose taste is made with katsuobushi, seaweed and tempura flakes floating on the soup. - Katsuobushi makes udon soup refreshing and delicious. - Noodles are thick and chewy. - Plentiful flakes such as tempura, crab meat, seaweed, and green onion. 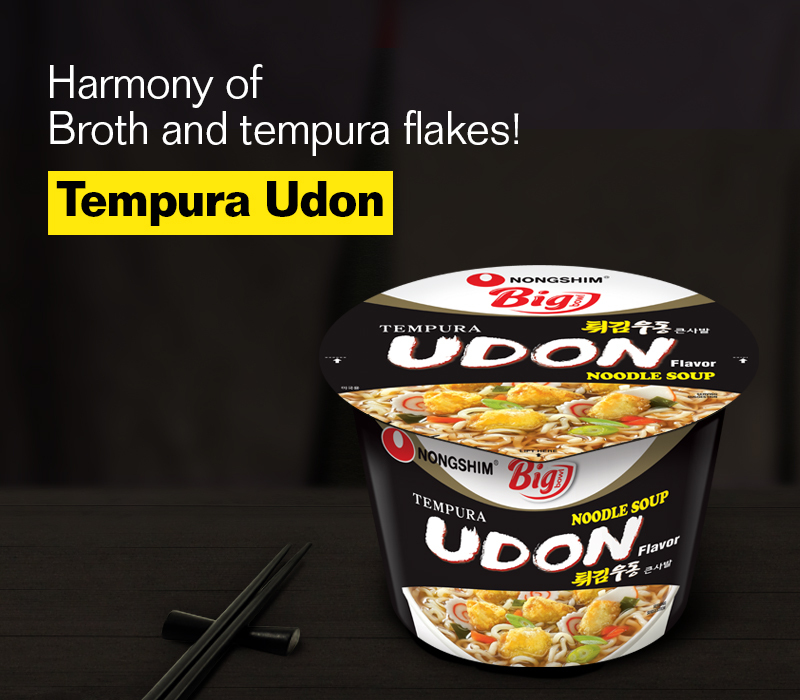 Tempura Udon is a cup product of adequate volume featuring deep refreshing udon soup with katsuobushi, seaweed and floating tempura flakes. Open the lid halfway. 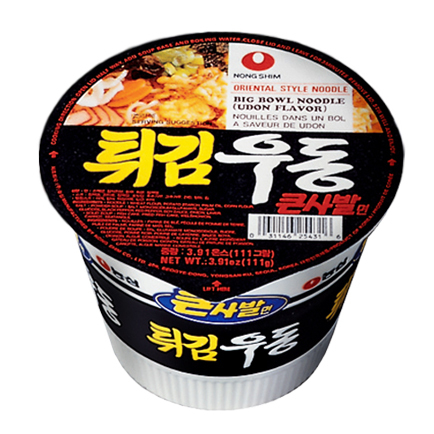 Empty flavor packet into cup and add boiling water up to the inside line. Close lid and wait 3 minutes. Stir well. 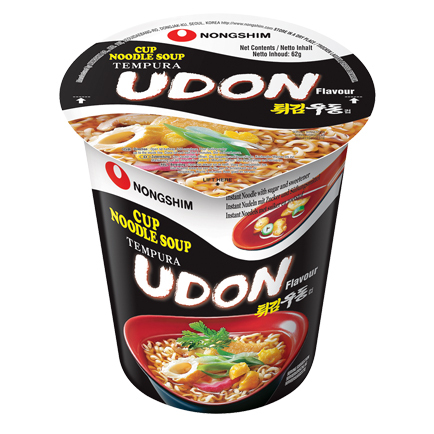 TEMPURA UDON cup is a cup product of adequate volume featuring deep refreshing udon soup with katsuobushi, seaweed and floating tempura flakes.